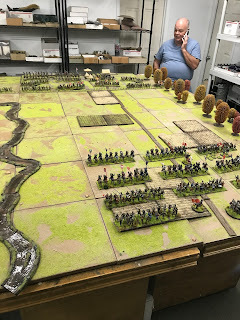 An Introduction to The Seven Years War. Most people reading this are likely familiar with the subject, so I'll try and keep this brief. The accession of a woman, Maria Theresa, to the Habsburg throne in 1740, gave the new King of Prussia, Frederick II, a pretext to declare war on Austria, and he duly launched the superbly drilled army his father had bequeathed him, on an invasion of the rich Austrian province of Silesia. For the next eight years two alliances, one based on Prussia and France, the other on Austria and Britain battled, primarily across Europe, but also further afield. By the time the treaty of Aix-La-Chapelle ended the conflict, Frederick had held on to Silesia, remained undefeated in the field, and he and his army had developed something of a reputation for invincibility, Maria Theresa, beset on all fronts, had survived, and confirmed her right to rule, but remained frustrated in her desire to regain her lost province. 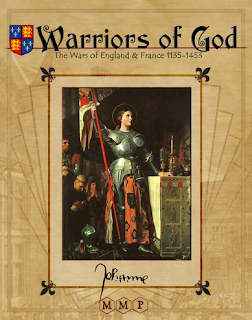 Meanwhile, another undefeated great captain, Maurice, Marshal Saxe had conquered much of the low countries for France, repeatedly vanquishing the armies of Austria, Britain, and Holland. In the course of the war, Britain (establishing something of a pattern), and Prussia both proved to be unreliable allies, and, partly as a result, a "diplomatic revolution' followed wherein Austria realigned with France, and Prussia with Britain. By 1756, Maria Theresa had also made a pact with Saxony, and with the Empress Elizabeth of Russia. Frederick, seeing himself surrounded, decided to strike first. Britain, and France were already fighting an undeclared war in North America, and the stage was set for the next round of conflagration. 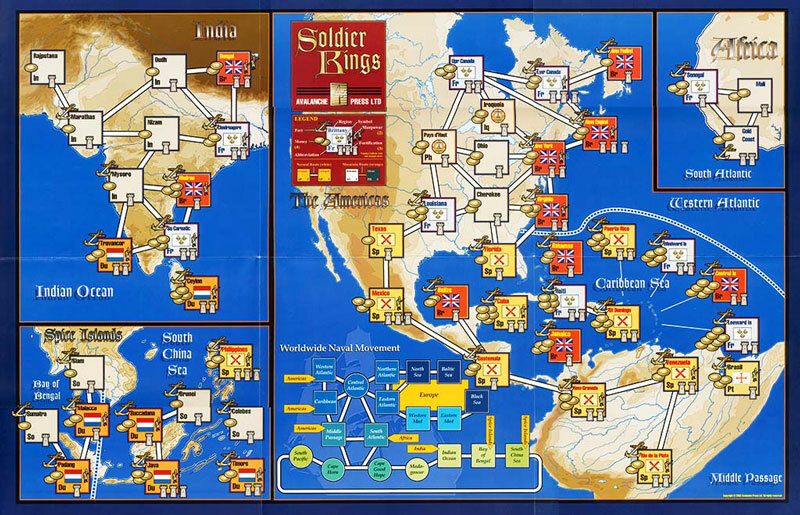 "Soldier Kings", in its basic version, has a fairly simple system of victory points. 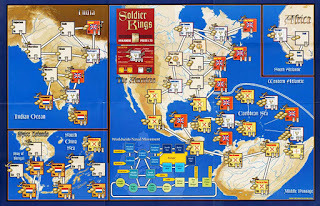 Players gain them by conquering territory. The richer the territory, the more VPs accrued. The "Enlightened Warlords" expansion provides all manner of choices for adding "flavor" to the game, but maybe its best feature is a list of "National Aspirations" for each power. These reflect the historical objectives of each nation, and help keep things on a somewhat historical track (as opposed to, say, Austrian troops being conveyed to the Caribbean aboard Turkish transports to split the rich pickings of the "Sugar Islands"). The method is simple, but effective. The historical objectives of each power provide them with multiples of the VPs they'd get from other conquests. Other key objectives, if unfulfilled can prevent a power from winning the game at all. The National Aspirations for each power are listed below, to help the reader understand what is happening, and why. Robbed of Silesia in the War of Austrian Succession, Empress Maria Theresa was determined to regain the lost Province. Nothing else could take its place, and every Austrian soldier knew it. Austria cannot win the game if any other Major Power controls Silesia. For over a century the horrors of the Thirty Years War had determined the European way of waging war: limited conflicts waged by professional armies. Maria Theresa overturned that paradigm when she plotted the elimination of Prussia as a major power. If any Major Power other than Prussia controls a Prussian home nation province, Austria receives a number of victory points equal to half the province’s usual value (round up fractions). 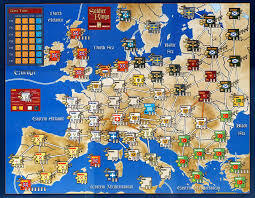 The controlling Major Power still receives the usual number of victory points. If Austria controls a Prussian home nation province she receives this additional award plus the usual victory points. Austria’s Prince Eugene had conquered huge swathes of Ottoman territory during the last decade of the Seventeenth Century, and the first decade of the Eighteenth. His incompetent successors lost back much of it in the 1730s. Regaining these territories appealed to Maria Theresa , but took a decidedly second place behind the goal of regaining Silesia. If Austria controls all three of Bosnia, Moldavia, and Macedonia the Austrian player receives one additional victory point. Though Maria Theresa had made peace with the Bavarian ruling house of Wittelsbach, she had not forgotten their attempt to usurp her position in the 1740s. Her military leaders hoped to acquire Bavaria to round off Austria’s territories, connecting Bohemia and Tirol, and putting potential enemies further from Vienna. If Austria controls Bavaria she receives twice the usual victory point award. Protecting the Electorate of Hannover loomed foremost in the mind of George II, and his ministers thoroughly understood the king’s will. The dynasty’s birthplace could not be allowed to fall into foreign hands. Britain cannot win the game if any other Major Power controls Hannover. British leaders recognized their vulnerability over Hannover, as did their enemies. They had no wish to expand that with further conquests. Therefore, if Britain controls any province on the European continent other than Hannover, or Gibraltar, the province’s victory point value is subtracted from rather than added to the British total. The British East India Company had thoroughly penetrated the British government, allowing this private firm to bend government policy to assist its expansion. Destruction of France’s rival trading company would greatly assist the East India Company’s drive for monopoly, and also enrich many of Britain’s elected leaders. Britain receives three additional victory points if France controls no territories on the India map AND Britain controls at lease twice as many territories on the India map as all other Major Powers combined. British merchants greatly feared competition from Belgian businesses, while naval leaders pointed out the vulnerability of the Thames Estuary to attack from places from Ostend, and Antwerp. Keeping the southern Netherlands out of French hands was just as vital a policy objective for Britain as to the Netherlands. Therefore, if the Austrian Netherlands are controlled by France, their victory point value is subtracted from the the British total. French pretensions in the Indian subcontinent ran more to exploitation than direct rule. However, French leaders saw great potential profit, and did not want any other power to gain the upper hand in the region. Therefore France receives three extra victory points if no power other than France controls more than three areas on the India map. Even in the Eighteenth Century, French policy-makers pursued a strategy of containing Russian expansion, with Poland acting as a “glacis” between the Tsar’s realm and the rest of Europe. Subtract the victory point total of each Polish province controlled by another Major Power from the French total. French merchants clocked enormous profits from the sugar trade; at one point, the islands of Guadelope, and Martinique generated as much tax revenue as all of mainland France. France gains two additional victory points for control of Jamaica, and the Central Islands (each). Subtract two victory points from the French total if any other Major Power controls Haiti, the Windward Islands, or the Leeward Islands (each). France had used Turkey, and Sweden, as counterweights against Austria, and Russia for almost three centuries. Their destruction would greatly inhibit French strategic goals. Therefore, subtract one victory point from the French total for every Swedish province controlled by another Major Power, and one point for every two Turkish provinces controlled by another Major Power. During the wars of Spanish Succession, and Austrian Succession, the Dutch had proved themselves willing to fight to the last Austrian, British, or German soldier to keep the southern Netherlands out of French hands. They did not want to annex the lands themselves, which would introduce a large Catholic population into the Protestant republic. The ideal situation was for some friendly third power to hold these lands; most Dutch politicians considered this vital to the continued existence of the Dutch Republic. Therefore, the Dutch player cannot win the game if the Austrian Netherlands are controlled by Holland, or France. Banking, and trade, in that order, were the twin foundations of Dutch prosperity. The rich spice trade of the East Indies underlay both of these, and the Dutch Republic could not tolerate any other power seizing colonies there. The Dutch player cannot win if more than one half of the ten provinces on the Spice Islands map are controlled by another Major Power, or Powers, and receives twice the usual award for control of Sumatra, Brunei, and Celebes. While Dutch diplomacy had moved closer to Britain throughout the 1700s, a Britain which became too strong threatened Dutch commercial interests. Holland loses one victory point if Britain has at least twice as many fleets in play as any two other Major Powers combined. Dutch traders could be found in all corners of the world, as the republic’s sophisticated businesses sought profit in every conceivable venture. Holland receives one additional victory point if she controls at least one land area on each of the four extra-European maps. With Austria, France, and Russia plotting the destruction of Prussia, and Britain willing to see the same result, Frederick II did very well to maintain his kingdom intact through the Seven Years War - and still needed the “Miracle of Brandenburg” to survive. Prussia receives one victory point for each Prussian province controlled. Saxony’s relative wealth, and close proximity to Berlin made the Electorate a prime target for Prussian expansion. Prussia receives twice the usual victory point award for control of Saxony. Sweden’s long-standing outpost on the Baltic coast had long been an irritant to Prussia’s rulers, who had reduced, but not eliminated this beachhead over the preceding decades. Prussia receives twice the usual victory point award for control of Pomerania. Prussia had attempted to build colonies in both Africa, and the Caribbean in the previous century, but these efforts failed as Prussia was not in a position to become a maritime power. Prussian traders pointed out that control of Hannover would solve this problem, giving the kingdom much better access to the sea and also help unite some of its separate territories. Prussia receives twice the usual victory point award for control of Hannover. Russo-Polish rivalry went back for two centuries, with Poland holding the upper hand until a series of devastating defeats in the mid-1600s. Since then, Russia had steadily pushed back Poland’s frontiers, and gained ever greater influence within the commonwealth. Outright annexation remained a major goal of Russian policy, however, and Russia’s leaders saw intervention in Europe’s wars as a means towards that end. Therefore, Russia receives twice the usual victory point award for each Polish province she controls. Russian desire for a warm-water port made the Khanate of the Crimea a prime target for conquest; centuries of Tartar slave-raids made the Khanayte’s extermination a popular goal with Russian leaders as well. Russia receives twice the usual victory point award for control of Crimea. Russian generals advised their Empress to make the conquest of East Prussia an objective. They wanted to block Prussian access to Polish territories to its North and East, and felt the Prussians would have difficulty recapturing it. Russia receives twice the usual victory point award for control of East Prussia. Claiming to represent the “Third Rome”, Russian religious leaders saw the conquest of Constantinople as a holy mission.Political leaders liked the idea of overthrowing an old enemy, while businessmen longed for a direct connection to the Mediterranean Sea. Russia receives one additional victory point for each Ottoman Turkish province she controls, and triple the usual victory point award for Constantinople. Britain (with Dutch help) took Gibraltar during the War of Spanish Succession, and held on to it throughout that war, and several that followed. Spanish rulers took this as a serious affront to their sovereignty, and burned for its return. Therefore, Spain receives four times the usual victory point award for control of Gibraltar. Ruled by a minor branch of the Bourbon family, the Kingdom of Naples had been snatched from Austria in the War of Polish Succession. The Spanish ruling house did not plan to hand it back to the Habsburgs or anyone else. If any Major Power other than Spain controls Naples or Sicily, subtract one victory point from the Spanish total for each. Spanish fleets, and armies had fought for generations to keep other European powers out of the “Spanish Main”, the mainland of Central, and South America. Spain’s current rulers planned to keep it that way. Spain receives one additional victory point for control of Belize, or Jamaica (each), and loses one victory point if any other Major Power controls Mexico, or New Granada. The Ottoman Empire lost huge swaths of territory to Austria in the late 17th and early 18th Centuries. Taking these back would allow any new Sultan to stand proudly alongside his greatest ancestors. Turkey receives one additional victory point for control for Transylvania, and Hungary (each). The Crimean Tartars had fought alongside their Ottoman armies for centuries, with their Khan owing homage to the Sultan. Allowing this small kingdom to fall prey to anyone else would be a blow to Turkish prestige. Therefore, subtract the victory point value of Crimea from the Turkish total if it controlled by any Major Power except Turkey. Turkish power declined following the death of Suleiman the Magnificent in 1566. Two centuries later, the Ottoman Empire could no longer take on two or more enemy powers and hope to survive. France emerged as Turkey’s traditional ally, and Turkey could not allow the French to be destroyed as a great power. Turkey loses one victory point for every French home area controlled by Austria, or Russia. As the Ottoman Empire had lost ground to the Austrians, so had the Poles, as Russians driven back to the Empire’s borders. Provinces under Islamic rule could not be allowed to slip into apostasy, so their recovery was considered vital. Turkey receives one additional victory point for control of Galicia, Polesia, and Volhynia (each).